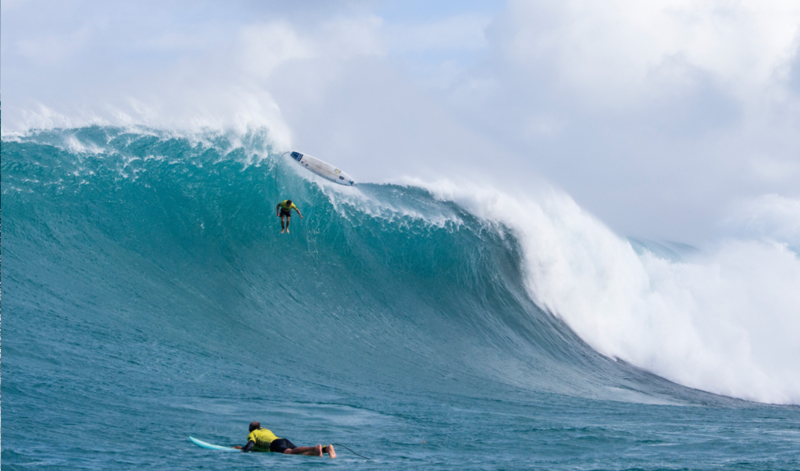 After a few weeks of speculation, this morning it has been officially announced that Quiksilver will no longer be sponsoring the Eddie Aikau, the prestigious, invite only big wave comp held at Waimea Bay on the North Shore. The Aikau family, Quiksilver and the World Surf League have reportedly been in talks for several months, however last week negotiations finally broke down and on Saturday at an awards lunch, the announcement was officially made. Due to Quiksilver’s recent money troubles, many speculated that the break down was due to cash issues, however Reiss and the family claimed this was not the case and are reported to have said that ‘money was not a major issue’. It is not yet clear if another sponsor will swoop in and look to pair up with the Aikua family for a new event, or if the permit will be opened up to all applicants, allowing other organisations to plan an event in a different format all together. Whatever happens we think we speak for the whole surf world when we say we hope something is resolved and the ever entertaining Eddie returns to our screens shortly!